Hop onto the adventure of a lifetime with Atlantic Clipper and Pippies! Visit Lake Mckenzie, Eli Creek, the Maheno Wreck and more! This 5 day, 4 night combo to Fraser Island and the Whitsundays is one the most fun and most affordable packages available to see both of these Australia icons! Stay on budget without restricting yourself and see all the tops sights in this package tour. 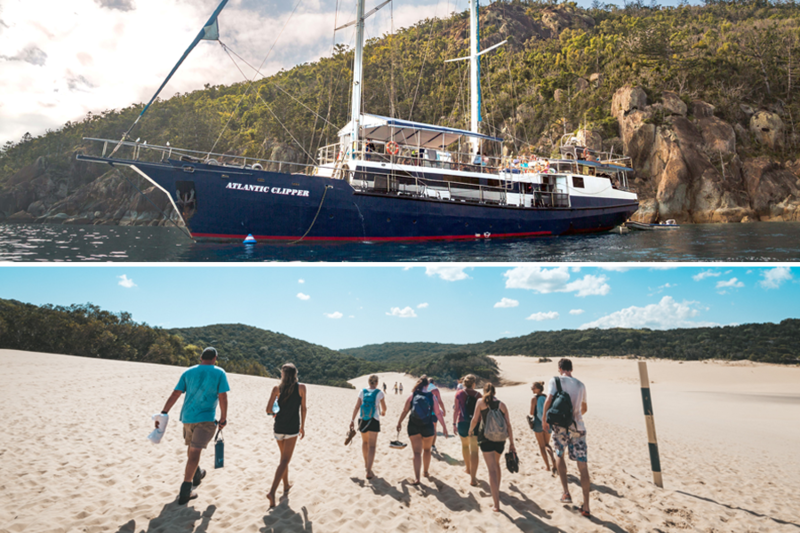 You will get to spend 2 days and 2 nights on board the party boat Atlantic Clipper, and 3 days 2 nights on Fraser Island with a Pippies camping safari! Spend 2 days sailing around the Whitsundays with Atlantic Clipper! Atlantic Clipper is a great way to experience the islands and reefs, seeing the best of above and below the water, all while having fun and staying on budget! This tour takes an amazing 53 guests at a time, making it the most social tour in the Whitsundays. You will get to explore the islands, meet other travellers and party into the night for the trip of a lifetime! 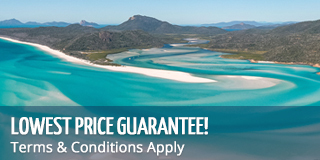 Visit Whitehaven Beach, Hill Inlet Lookout and the fringing reefs of the Whitsundays, sailing around the islands and enjoying the party of a lifetime! Atlantic Clipper has the added bonus of extra water toys, scuba diving and onboard spa to ensure you have the best time possible while in the Whitsundays. Pippies 3 day, 2 night camping safari will give you the amazing opportunity to experience Fraser Island at its best! You will get to spend your days driving around the island to see all of its top spots, while spending your nights camping among the dunes! Fraser Island is best experienced up close and personal, where guests can really get a feel for Fraser Island life. With a tag along tour you can also take the opportunity to drive on the sand island, or to just sit back as a passenger and enjoy the view and the drive as you make your way from one amazing destination to the next. Explore Fraser Island for an amazing 3 days and understand what makes this island so special. With unique land formations, giant sand dunes, a towering rainforest and beautiful wildlife, you can be sure you will walk away with lasting memories and a love for the world's largest sand island. Please note: If guests do not include the bus pass add on, they must make their own way between Fraser Island and the Whitsundays. Please be sure to allow enough time for travel in between.